What are your options for injury compensation for recreational accidents? Most recreational activities have an element of danger that is a natural component of the sport, from skiing and snowmobiling to boating and cycling. Even the most responsible participant can be involved in an accident under circumstances entirely outside their control. When accidents result only in minor injury, they may amount to no more than an inconvenience for a few days or weeks. 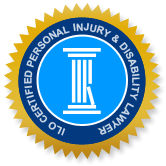 Serious and permanent injuries, on the other hand, are often life-changing in terms of a decline in an accident victim’s mobility, strength and the ability to participate in many of the pastimes and interests that were possible before the accident. If you were injured in an accident involving a motor vehicle, such as an all-terrain-vehicle (ATV) or snowmobile, you can file for accident benefits compensation under your vehicle insurance policy. This option is also available to anyone who was not themselves an occupant of a vehicle but was injured by a motorized vehicle, such as a cyclist struck by a car or a pedestrian struck by an ATV. An injured person without insurance of their own may apply for accident benefits under the insurance policy of the driver involved in the accident. When someone is injured in a recreational accident, but the event is judged to be a normal risk or danger for the given sport, the courts generally do not assign liability for injuries. However, many recreational accidents result from an unsafe condition on a property, such as an unmarked hazard on a ski trail or biking trail. Accidents may also result from poorly maintained equipment, or can occur when recreational activities are poorly planned, inadequately supervised or operated without proper attention to safe practices. When an unsafe property or unsafe practices result in injury, the injured person may have grounds for a negligence claim for injury compensation. If you were hurt in a recreational accident that resulted from probable negligence, a personal injury lawyer can advise you on the strength of your claim and what is involved in pursuing a negligence suit against the party responsible for your injuries. You may be entitled to compensation for medical and rehabilitation costs, loss of future and past income, attendant care costs, an award for pain and suffering, and out-of-pocket expenses. When a recreational accident results from negligence, there are two potential areas of liability that may apply. If unsafe or negligent driving practices on the part of a motor vehicle driver, such as a car, ATV or snowmobile driver, caused the accident, then a passenger or another innocent victim can file a negligent suit against the ‘at fault’ driver. If an unsafe circumstance or property was a factor in the recreational accident and resultant injuries, then the accident victim is eligible to sue the ‘at fault’ party. Under the Occupiers’ Liability Act, the occupier of a premises has a legal obligation to take such care that anyone entering the premises is kept reasonably safe. An occupier is the person who owns the premises or has responsibility and control over the premises or over the activities that occur on the premises. Owners, tenants and government bodies are all occupiers. A premises includes land, buildings, water, any structure used as a residence, ships or boats, and vehicles not in operation. Unsafe circumstances that may result in recreational accidents. Drowning in a private or municipal pool. ATV or snowmobile accident resulting from driver negligence, such as speeding, impaired driving and distracted driving. Drowning and boating accidents are leading causes of recreational accidents resulting in death, for Canadians. In an overwhelming majority of cases, drowning and boating accidents are preventable with good planning and safe practices, such as wearing a life jacket. Swimming, power boating and fishing for sport are the activities most associated with drowning. For children under five, drowning is most likely to occur in a backyard pool. Negligence in drowning accidents may be the finding when homeowners, private landowners or a municipality failed to take reasonable care in keeping people who enter their property safe. Recreational boating accidents frequently result when boaters do not take due care for their own safety, but boating accidents can be the result of negligence if the boat operator was reckless or careless. Alcohol, operator inattention, inexperience and excessive speed are common factors in boating accidents. In June 2000, a glass bottom boat carrying 13 children on a school trip sank near Tobermory Ontario. The ship sank in rain and gale-force winds, and the captain had ignored weather warnings concerning heavy seas prior to embarking. None of the passengers were wearing lifejackets at the time of the sinking and only two of the lifejackets stored in garbage bags on the boat were the appropriate size for children. This disaster resulted in the drowning deaths of two of the children and led to a jury recommendation of safer school trips and improved Ontario boating standards. A 60 year old man who was an experienced skier and had once been a member of the Olympic ski team, was seriously injured when he went over a gully and crashed into a stream bed on one of the ski trails within the Blue Mountain Resort in Collingwood. There were no markings to warn skiers of the hazard. The accident occurred in the first season of operation for the Resort. In Wilson et al. v. Blue Mountain Resorts Ltd., 1974, the judge pointed out that skiing is a dangerous sport and anyone who partakes must accept its inherent dangers; at the same time, ski resort operators owe visitors a duty of reasonable care to prevent injury from an unforeseeable danger of which the operator ought to be aware. The gully and stream crossing the bottom of the sloping trail could not be seen until it was reached, which posed an unforeseeable danger to a skier. The fact that the Resort failed to post an adequate warning led the court to find Blue Mountain Resorts 75 per cent liable for causing Mr. Wilson’s injuries. Mr. Wilson was assigned some responsibility for his injury (25 per cent) for failing to keep a particularly good look-out when skiing down an unknown slope. Mr. Galka sustained a devastating brain injury on a City of Toronto archery range when an arrow shot by his friend penetrated Mr. Galka’s eye and lodged itself in his brain. The accidental shot happened while the 45 year old man was searching for lost arrows in the grass, some 20-30 meters from the target. The idea of standing nearer the target was born of a challenge to recreate shots that resulted in lost arrows with the hopes of determining where they may have landed. The accident resulted in partial deafness and blindness, drastically reduced mobility and severe psychiatric needs for Mr. Galka who is no longer able to work due to the severity of his injuries. Mr. Galka has a Masters in Engineering and was a capable and valued employee prior to the accident. In Galka v. Stankiewicz, 2010, the injured man sued both the friend who accidentally shot him and the City of Toronto for negligence in causing his injury. E.T. Seton Park in Toronto where the accident occurred is the only public archery range in Canada and it is not supervised; the City relies on signs defining the rules of the Range. The rules include a requirement that all persons be clear of the range before shooting commences, and also that shooting is allowed only from the designated shooting line. The judge in this case found the City of Toronto not liable under the Occupiers Liability Act for Mr. Galka’s injuries because the accident was so unpredictable that the City could not be expected to foresee or prevent it. Mr. Stankiewicz and Mr. Galka were deemed to share liability at 50 per cent each, for the accident. Mr. Stankiewicz was liable because he shot the arrow and also instigated the plan for retrieving the arrows that put Mr. Galka in harm’s way. However, Mr. Galka was the younger man’s mentor and the owner of the equipment, and he knowingly put himself in the path of an arrow. Damages in this case were assessed at $225,000 in general damages (for pain and suffering), lost income at $1,500,000, and almost $1,300,000 for cost of future care. Everyone carries a burden of responsibility for their own safety in terms of acting with caution and due care, particularly where a dangerous circumstance ought to have been perceived by the average person. The same does not hold true for young children, who are not expected to be as careful as adults and whose behaviour can be unpredictable or reckless. This places a higher burden of responsibility to maintain safe conditions for property owners whose premises are likely to be visited by children. If you or a family member were injured in a recreational accident, contact the Injury Lawyers of Ontario (ILO) for a no-obligation consultation to discuss the facts of your accident and determine your best alternative for compensation. ILO lawyers are highly respected for their professionalism and advocacy for the rights of accident victims, and are experienced in representing clients in successful negligence suits and in resolving accident benefits claims against insurance companies. Let us know how we can help.